Since entering the 21st century of modern construction ,concrete mixers are widely used.concrete mixer not only reduce the labor intensity, but also improve the quality and efficiency of the concrete , our country has made agreat contribution to establish the infrastructure of construction machine market. Concrete mixer industry has also become the country’s national increased industry. 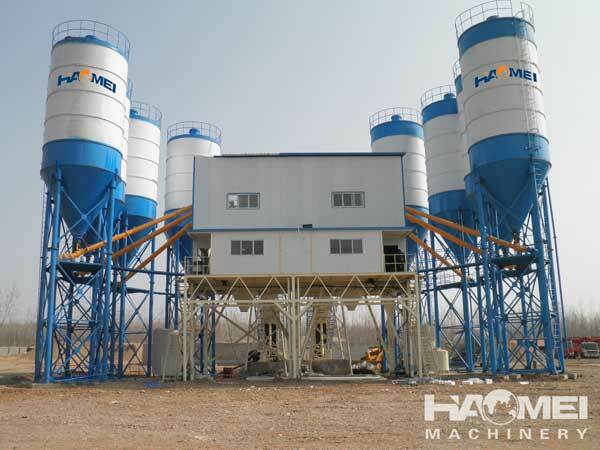 But the working process of concrete batching plant is very complex,if you want to make sure the high efficiency of concrete batching plant,you must do the maintenance work well, here are some advices of the maintain work. Cement and fly ash can block off the mixing tank easily after a period of work.It will lead to a slower speed of working and then affect the efficiency of the concrete mixer.So you must clean up the cement and other aggregate when you finished work. The belt used for load material is easy to loose,so you should check it regularly. When the breaking number of every pitch wire is more than 5% of the total root ,you should check the wire rope and wear situations as often as you can. If necessary you should replace the wire rope. The hopper should be elevated to the top dead center for maintenance and overhaul. Locked with a peace pin on the track. Mixing station to run the first week of the lifting mechanism should be checked daily limit connection bolts loose. Before each formal operation, you should enhance the bucket manually lifting and landing, in order to confirm the limit switch flexible and reliable. The second limit switch should be checked every. Each tank of the machine should checked the used amount every day.